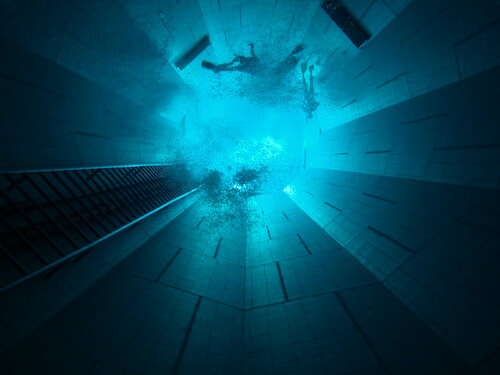 Europe's Deepest Swimming Pool. Laying on my back at 34,4 metres looking upwards to the entry of the deepest part. Wow - that's a long way up!